LONDON, UK – Asia House, in partnership with the Bagri Foundation, has announced the full programme of the Asia House Bagri Foundation Literature Festival 2015. Now in its ninth year, it is the only UK Festival dedicated to pan-Asian writing and will include talks from some of the most exciting names in literature including British-Chinese author Xinran, Turkey’s bestselling author Elif Şafak, award-winning Indian novelist Anuradha Roy and one of South Korea’s most important modern writers, Hwang Sok-yong. The Festival will run from 7 – 18 May, 2015 and all events will take place at Asia House, which is just oﬀ Oxford Street in central London. At the core of this year’s programme is an exploration of youth and gender with an in-depth look at the important issues aﬀecting the current generation across the globe. The Festival will examine the issue of women’s historical involvement in suﬀrage movements, introduce China’s only children and Nepal’s child goddesses, look at forbidden love and also explore the themes of migration and displacement. book Darjeeling: The Colourful History and Precarious Fate of the World’s Greatest Tea. Creative writing workshops, a walking book club and a celebratory series on storytelling will take place as part of the rich and varied programme. 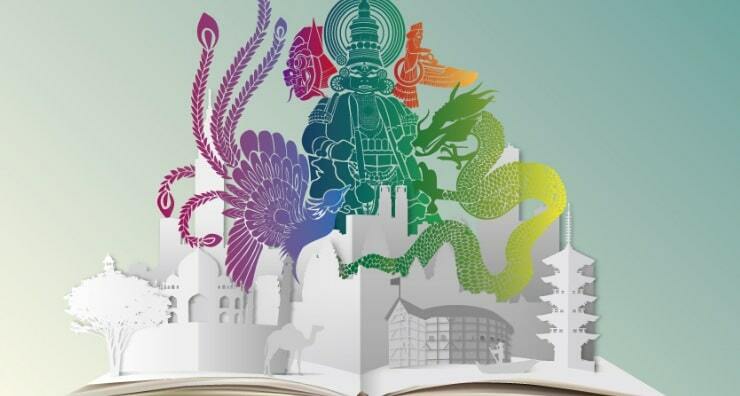 There will also be a number of exciting events for children including a celebration of The Ramayana and other classic stories from Asia, where Asia House will be turned into a magical realm, with roaming mythical characters, workshops, face painting and a story from celebrated children’s writer Jamila Gavin. book Sophia: Princess, Suﬀragette, Revolutionarywith literary editor of The Independent, Arifa Akbar. The talk will look at the role women could play in shifting the political outcome. After the Festival has ﬁnished, Asia House will be hosting an event at Waterstones Piccadilly with Indian author Amitav Ghosh, who will be discussing his new masterpiece, Flood of Fire. For more information about the Festival and to see the full programme of events, click here. For press enquiries, please contact Lucy Tomlinson on lucy.tomlinson@asiahouse.co.uk or 0207 307 5451.